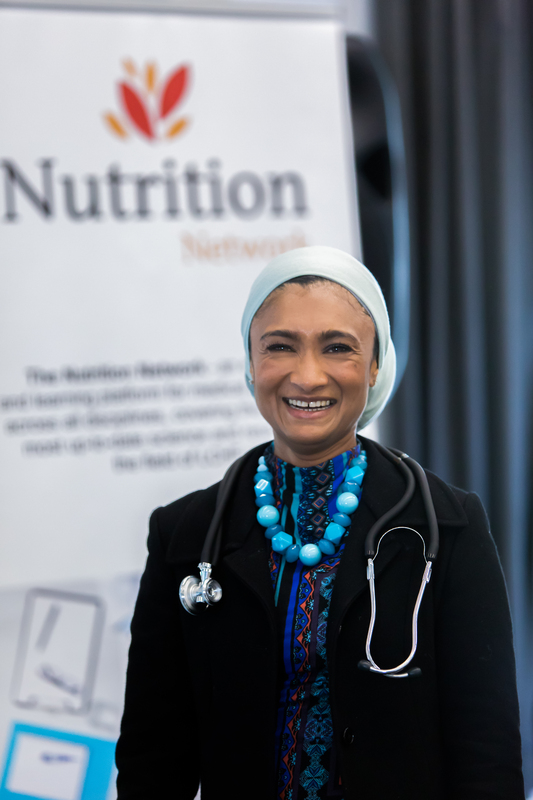 Dr Hassina Kajee joined The Noakes Foundation (TNF) about 4 years ago, and is a founding member of Eat Better South Africa (EBSA), the foundation’s community outreach programme, and is a Medical Director of the Nutrition Network. Described by her colleagues at TNF and EBSA as passionate and caring, her drive and commitment has made her a catalyst to the journey that many South Africans are undertaking to reclaim their health. To cross this treacherous frontier, these brave souls have to face farcical medical and nutritional advice, patient blaming, addictions, contradictions, temptations… and, the stress related to this. These obstacles compound the stresses of daily life and in many instances lead to patients abandoning their journeys. With Dr. Hassina’s webinar, the impact of stress on health and weight, scheduled for this week, we thought it a good idea to learn more about her and her journey towards health. In these words, Dr Hassina perfectly sums up the essence of the medical profession, which is to “serve our patients and communities”. Therefore, something inherent in the urge for someone to study medicine makes this urge more than a mere choice of profession. Rather, a calling. Something which you are born into, or destined by fate. Dr. Hassina’s journey to medicine is no different. The first time that she learned about the cardiac system, she was compelled to make it her life’s work to understand the human body, illness and to get to the “root of the problem”. It is fitting that it was the cardiac system that beckoned Dr. Hassina into the medical world. 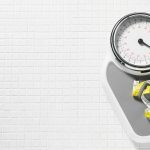 With the prevalence of metabolic syndrome these days (of which cardiovascular disease is one of the complications), more and more research is pointing to diet as the cause and cure. One could argue that these dietary changes should be the focus of all physicians. However, this is not the case. While the medical world idly stands still, going “from one patient to the next”, there are only but a handful of doctors who are willing to face the industry machine and tackle the problem heads on. According to the Stats-SA report, Mortality and causes of death in South Africa, 2016: Findings from death notification, Diabetes mellitus is the 2nd leading underlying natural cause of death, accounting for 5.1%-5.5% of deaths due to natural causes in 2014-2016 (http://www.statssa.gov.za/publications/P03093/P030932016.pdf). Diabetes being a complication of metabolic syndrome is clearly claiming more victims. An epidemic, in the true sense of the word. Dr. Hassina describes how many patients during her time at the high care unit were there for myocardial infarcts, diabetes, strokes and were but in their late 20’s and early 30’s. The situation is clearly dire. Shocked to the core, Dr. Hassina lived up to her calling, to get to the root of disease. Something had to give. If humans were “such highly specialised creatures, why is it that we become highly irritated beings who cannot function by lunch time”. It was a personal experience that led Dr. Hassina into the direction of HFLC lifestyle approach disease. She developed glucose intolerance during her pregnancy. This condition pushed her toward the HFLC lifestyle. After seeing her results and doing research, HFLC presented itself as the answer hiding under everyone’s noses. Knowing this, Dr. Hassina could not turn back. She started prescribing dietary changes to her patients, started a small clinic on the side, and founded EBSA along with Jayne Bullen (COO of TNF) and Euodia Samson, and as EBSA had their first intervention in the community of Ocean View. Everything made sense. Years of sacrifice in the hospital for patients, and she found the answer. A turning point for herself and South Africans. Changing one’s diet is but one square of the cube of a healthy lifestyle. The physical impact of chronic stress needs to be addressed as well. 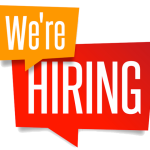 According to this IOL report, work-related stress and major depression, burnout and anxiety disorders are costing SA’s economy an estimated R40.6 billion a year – equivalent to 2.2 percent of gross domestic product. Huffington post reports that there has been an increase in the number of stress-related insurance claims for incidents such as stroke and attempted suicide in Gauteng. 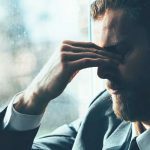 The same article reports that professionals surveyed last year in Profmed’s Stress Index claimed that stress had both an emotional and physical impact on them, with 10.9 percent of the respondents taking time off due to stress-related illness. Stress seems to be another silent killer that our society just cannot get under control. As mentioned above Dr. Hassina has seen stress for what it really is. Doctors and health care workers and other type of carers have to deal with this head on. She has realised that charity begins at home. To ensure that her patients get the best care there is, Dr. Hassina has started a range of self-care practices that has slowly become part of her routine. The upcoming webinar will focus exactly on the role stress plays in our deteriorating health as individuals. Chronic stress, as seen in the above statistics, not only plays a role in weight gain, but also has a tremendous impact on the body, psychologically. Dr. Hassina’s webinar is a must for people who wish to reduce stress, physicians who treat patients who have the metabolic syndrome, cardiac disease and pre- and post-menopausal women (due to the hormonal impact of stress). Considering the statistics regarding diabetes in conjunction with the stress statistics mentioned previously, it is clear that physician’s need to adopt a holistic approach to treat the diseases of civilisation that are plaguing us today. TNF and NN are on the frontline of this battle. Slow but surely the tides of public policy are changing. Dr. Hassina and her husband are both devoted caring parents. They have put routines and structures in place to ensure that their children and family receive the best that they can give in terms of nutrition, time and attention. Reading how Dr. Hassina describes the moments shared in the family, there is a realisation that the things that create the stress and circumstances that lead to sickness of our population, is not worth it. She describes family walks, afternoons playing board games as a family, and cheerful family get-togethers. As for the “restrictive” (please read with a note of sarcasm) HFLC diet their household is thriving on it. Her husband found the change empowering due to the appetite control, and both their children’s eczema was cured. Dr. Hassina is an example to all of us that life is what you make of it. It is becoming ever more apparent that for some time people have been given the wrong tools to get their lives in the shape they want it. Bad nutritional advice, even worse medications, stresses over career satisfactions. People have been following these to not only their own detriment, but also to that of their families. It is time for people to reclaim their health. So share the word regarding the webinar and be sure to tune in to find out more about the adverse effects of chronic stress on your health. 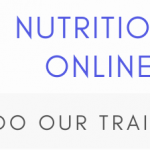 $20 gains you access, FREE for Nutrition Network students enroled in the training.